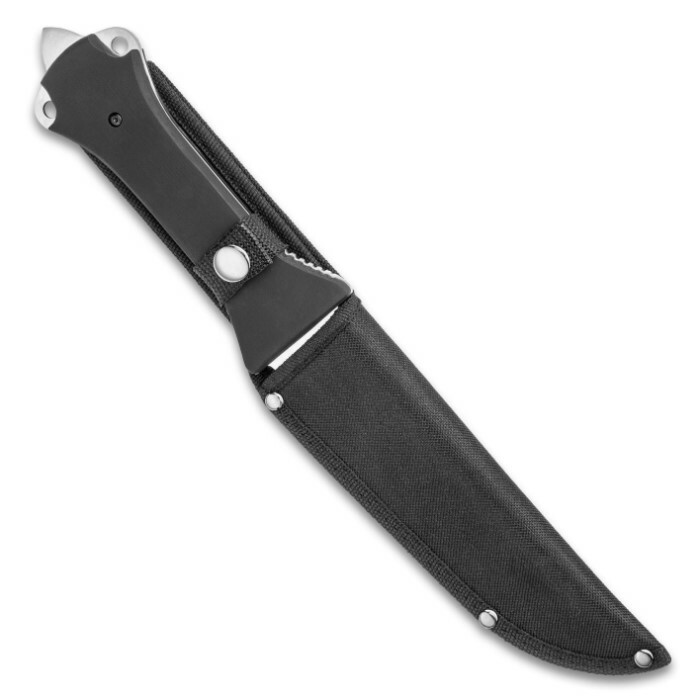 Night Vulture Defensive Scimitar Fixed Blade Knife With Nylon Belt Sheath - Satin Finish Stainless Steel Blade, Black TPR Handle - Length 13 1/2” | BUDK.com - Knives & Swords At The Lowest Prices! The scimitar-style curved, full-tang blade with its extended piercing point tang makes the Night Vulture Defensive Scimitar Fixed Blade Knife a truly menacing weapon. 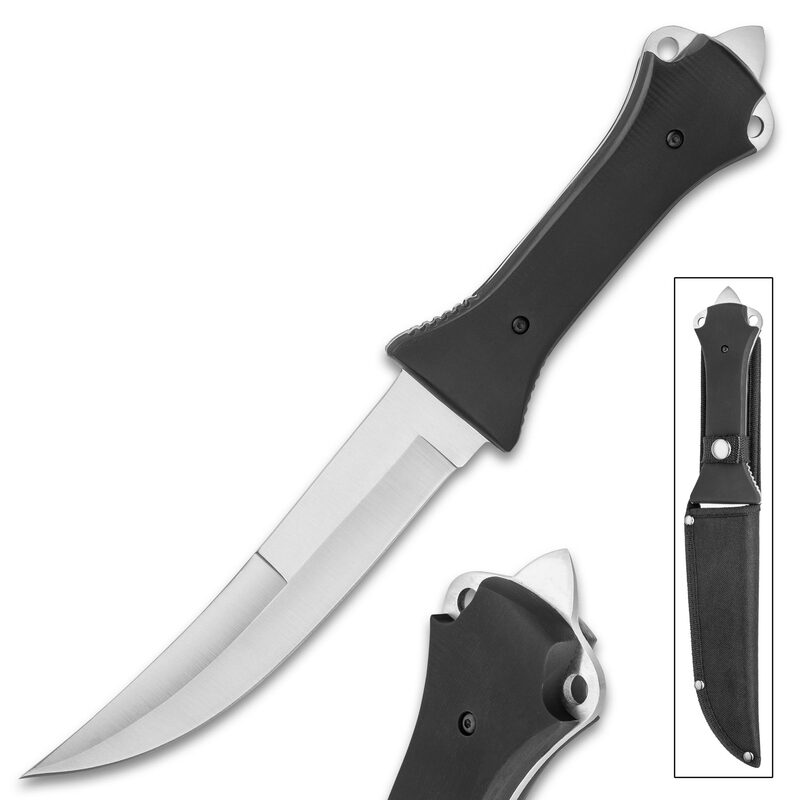 The 7 1/4” keenly sharp stainless steel blade has a satin finish and is up to any cutting task you put in front of it. 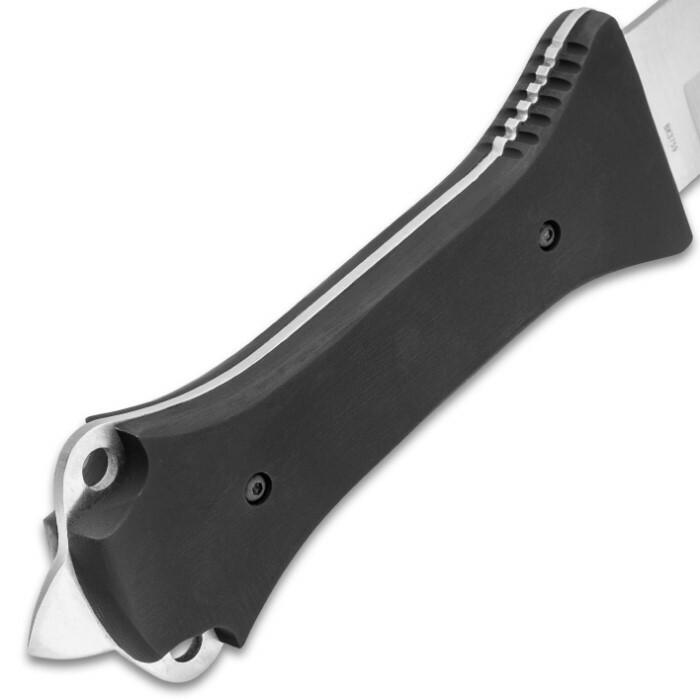 The midnight black, smooth TPR handle scales are secured to the tang with strong screws and the tang features double lanyard holes and a piercing point. 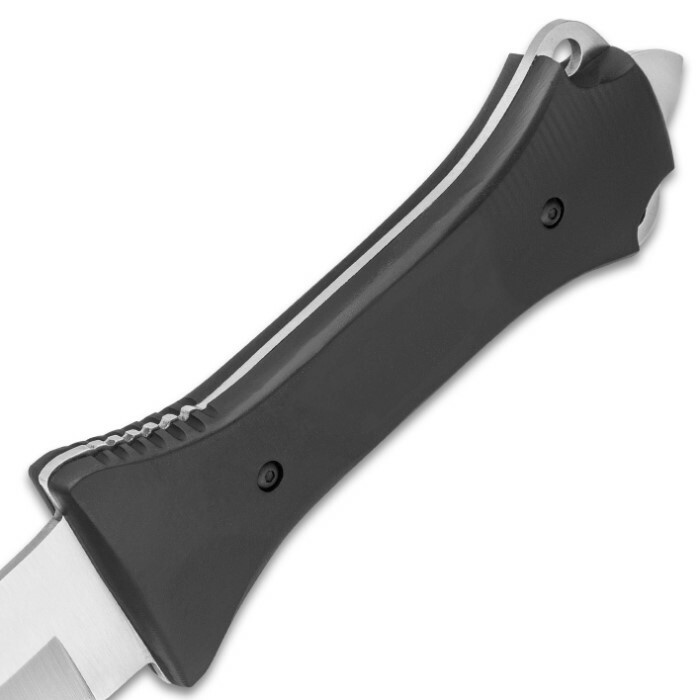 Our Night Vulture Defensive Scimitar Fixed Blade Knife comes ready for action in a tough nylon belt sheath. Don’t go out on the field of battle, whether it’s at home or overseas without this friend to back you up! This knife came razor sharp. A super good defensive knife! Especially at the BOGO deal! Wish the blade came in black or stone wash like the tanned one below! Black handle and blade would have less glare day or night! Sharp out of the box. Can't beat this deal with a bogo plus free shipping. Nice and dangerous. This is a nice made Scimitar! Full tang and nice crushing pommel. Came dull but made it razor sharp. Get them now before they are gone. Personally I love this knife for the size, shape, and the quality of the handle. Ordinarily I would give it 4 stars because the grind marks were a bit deep and made the edge a bit dull but the steel was easy to stone and strop. In about 10 minutes I got this knife shaving sharp so there is something to be said for it. For the price you can not go wrong.